Thomas Merton’s classic book, The Seven Storey Mountain is a helpful commentary on how one can live a spiritual life despite pressures in the opposite direction. Merton knew how to live in the world without being swallowed up by the world. He has much to show us about the balance between solitude from and solidarity with our fellow humans. Perhaps more than any other writer, he teaches us the meaning of being “in the world” but “not of the world.” His words have been steeped in solitude and steeped in the tensions of making a living, finding his place in the world, and struggles with the sins that so easily entangle every one of us. Gordon T. Smith quotes Merton in his book, The Voice of Jesus, and, in one of my recent blog posts, I looked briefly at one of his comments on suffering. Today, let’s go a little deeper with Thomas Merton. The following quote is certainly one that will challenge our understanding of the purpose of suffering and will encourage us to embrace, rather than reject, the pain we will all experience. Do I embrace suffering or avoid suffering? How large or small are the items which torture me? Will I make the shift to embrace rather than deflect, avoid, or hate suffering? “Should we accept only good things from the hand of God and never anything bad?” (Job 2:10). Today, I will meditate upon these things. Selah. 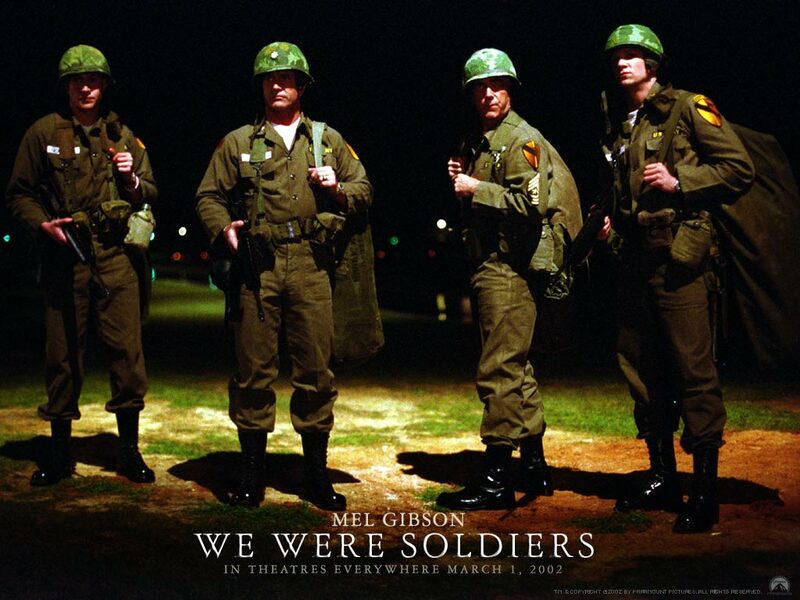 The Mel Gibson movie, We Were Soldiers, is one of my favourite movies of all-time, with strong themes of leadership and courage. An example is Colonel Hal Moore’s stunning speech just before the young soldiers ship out under his command? Then there is his prayer with a soldier who is a new dad and is questioning how he can be a soldier and a father at the same time. Lt. Colonel Hal Moore: Our Father in Heaven, before we go into battle, every soldier among us will approach you each in his own way. Our enemies too, according to their own understanding, will ask for protection and for victory. And so, we bow before your infinite wisdom. We offer our prayers as best we can. I pray you watch over the young men, like Jack Geoghegan, that I lead into battle. You use me as your instrument in this awful hell of war to watch over them. Especially if they're men like this one beside me, deserving of a future in your blessing and goodwill. Amen. 2nd Lieutenant Jack Geoghegan: Amen. Lt. Colonel Hal Moore: Oh, yes, and one more thing, dear Lord, about our enemies, ignore their heathen prayers and help us blow those little bastards straight to Hell. Amen. In one of the scenes we see Moore’s wife at the Fort Benning base watching a Yellow Taxi arrive at the home of her neighbour. She finds the new widow sobbing and angry that the news had been delivered by taxi – no chaplain, no officer - just a cab driver who didn’t want to be there, but had to do his job. Next, Julie Moore sees a taxi arrive at her own door, and fears that it is news of her own husband’s death, only to learn that the driver is lost and needs an address. 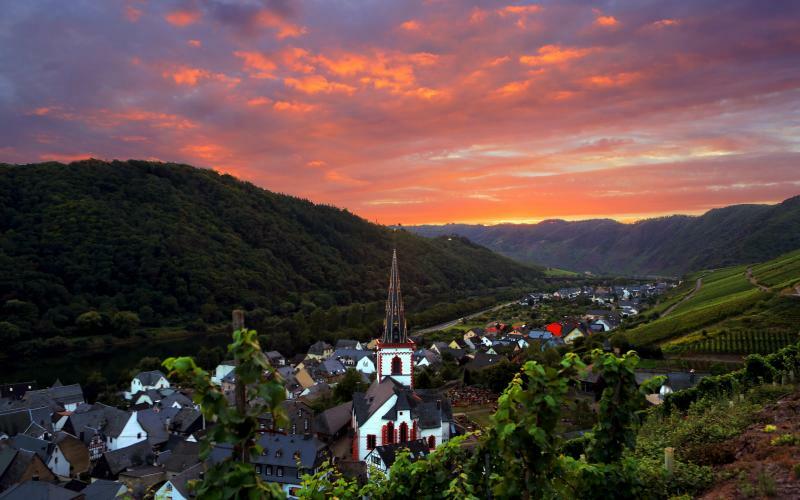 The following dialogue recounts the emotion of the moment. Driver: [removes his hat] Mrs. Moore? Colonel Moore's wife? Julie: You JACKASS! Do you know what this is?! Do you know what you just did to me?! Julie: Wait. Wait! [runs to the cab] I'll take it to her. [she takes the telegram] And tell the cab company if there are any others, just bring them to me. Following this, many more telegrams arrive and Moore and another soldier’s wife walk each one to the designated wife. With tears in their eyes and arms that shakily reach out to console, the two do the best they can to remain strong and help the women understand their losses. 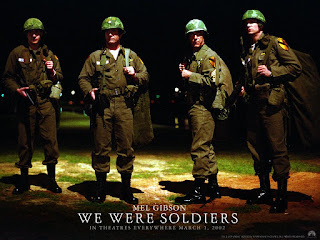 The movie pulls no punches as it shows the horror of the battle that occurred at Ia Drang, Central Highlands, Vietnam on November 14 and 18, 1965. For several terrifying hours the U.S. Helicopter Cavalry was seriously outgunned and over-run by the enemy. At least 559 Americans were killed and more than 1000 Vietnamese soldiers died. The movie tells the story in a way that is gripping and at points humorous. If anyone is “hard-headed” it is certainly Colonel Moore. He is true to his word and, as he promised, he is the “first to set foot on the field, and . . . the last to step off.” May God grant us real leaders who live up to this larger than life soldier and commander. A few days ago I wrote an entry entitled “Sacrifices” to remind us that God wants our trust more than he desires sacrifices from us. 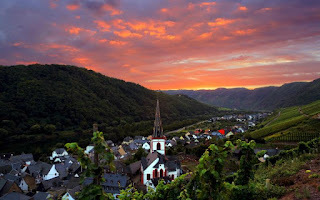 The blog was prompted by our common desire to do something for God in order that we might get back into good relationship him, specifically when we experience suffering and question God’s favour toward us. When we or one of our loved ones experiences suffering, we may be tempted to question God’s goodness and his love for us. But it is at times such as these that we have the greatest opportunity to know and trust God’s love. Gordon T. Smith, in his extremely helpful book, The Voice of Jesus: Discernment, Prayer and the Witness of the Spirit, speaks of the paradox in which we sometimes find ourselves. The paradox, then, is that if we embrace suffering, rather than causing us to doubt the love of God, it becomes the context in which we come to learn, know and appropriate God’s love as our own. The very thing that might cause us to doubt the love of God (namely suffering) is the context in which it is most crucial and in which we are most capable of seeing and appropriating the love of God. This, surely, is what it means to live by faith – believing that God loves us, despite the contrary evidence. 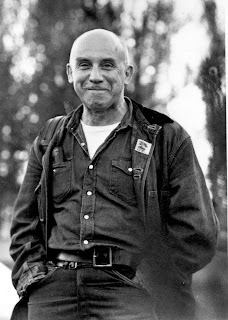 Thomas Merton made a pointed aside when he wrote “I have a peculiar horror of one sin: the exaggeration of our trials and our crosses.” His words are a good reminder, for we easily complain when in fact we have it remarkably good. This is not a moment to suggest we do not suffer; it is merely to emphasize that we must not overstate our suffering. Smith then quickly goes on to say that, indeed, we all suffer. He rightly encourages us to place our suffering within the appropriate context. All of us, like the friend I mentioned in the former blog, will experience suffering in this life. In the life of many people, this is where the road goes on in two directions: one toward bitterness and dismay toward God, and the other toward a greater understanding of God’s love toward us. If we desire to be ready for suffering that may come upon us, or if we wish to know how to deal with our already present suffering, we would do well to decide which course we will take when suffering occurs. Smith, Gordon T. The Voice of Jesus: Discernment Prayer and the Witness of the Spirit. Downers Grove: InterVarsity Press, 2003. Shia Labeouf’s latest performance art piece is called #touchmysoul and has people talking about the soul. 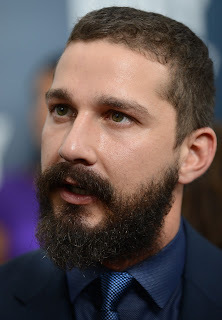 Labeouf invited people to call him at a special telephone number set up for this performance and “touch his soul.” No further information was given. It is an interesting concept. From the perspective of the collective that put together this performance piece, the soul seems to be the seat of emotions. What they are asking for is someone who will make them smile, give them goosebumps, or affect their emotions in some way. So, how does one touch another person’s soul? What is a soul? How do we touch the soul? Dallas Willard had this to say about the soul. Augustine, described the soul as "a special substance, endowed with reason, adapted to rule the body." In contemporary thinking, perhaps a helpful metaphor is to think of the soul as the operating system (OS) that organizes the actions and thoughts of a person. Many things will touch or affect the soul but some will affect more than others. We may experience a beautiful piece of music that affects the soul. Poetry, paintings, photography, a well-told story or movie may also touch the soul. Theoretically, if we touch a soul, that soul will be changed forever and will affect the operating system of the person. If the OS is changed, the whole being is changed. This leads me to want to touch the soul of others. It causes me to ask questions about how I affect others (for good or bad) and causes me to want to have a positive influence on the souls of those around me. If I can “touch a soul” in a good way, I can make that person a better person and ultimately affect the world. What could be grander than that? The Greatness of the Soul, Augustine. Do not worry about tomorrow. Tomorrow will have its own worries. The troubles we have in a day are enough for one day. I am once again learning to live by this wisdom. I’ve got to take it day by day. I cannot live my whole life in one day. I know that I will fail my Lord on some of the days of my life. I cannot muster up enough faith to live a complete life of wisdom; but I can live for Jesus today. Then, I can live for Jesus in the next day that is called “today.” Tomorrow is not yet here; but, today, today, today, and today, I can live for Jesus. Day by day I seek to live my life for my Lord. Will you join me? “A long time ago in a galaxy far far away” two black holes merged into one. To be more precise, this event happened approximately 1.3 billion years ago in a galaxy in the direction of the Magellanic clouds. We know this because scientists at the Laser Interferometer Gravity-Wave Observatories (LIGO) in Hanford, Washington and Livingston, Louisiana detected the gravitational waves of this massive collision on September 14, 2015. This was the first time gravitational waves had been detected despite the fact that Einstein had predicted their existence 100 years ago. This is an important discovery that ushers in a whole new way of “seeing” our universe. Not only can we now detect light from distant parts of the universe but we can also detect gravitational waves. This also represents further understanding of what gravity is and how it acts over large distances and propagates at the speed of light. This measurement of gravitational waves immediately becomes a candidate for a Nobel prize. I have always been fascinated by gravity. It is a force that is difficult to comprehend and describe. 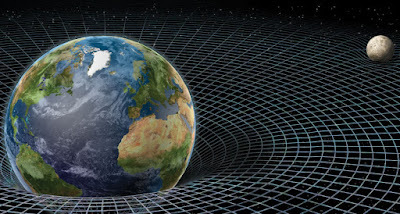 The best explanation of gravitational waves is that they represent ripples in the space-time continuum. 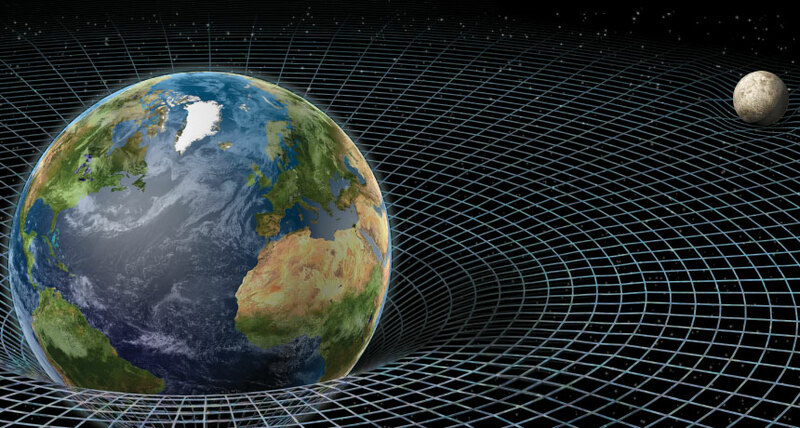 Gravity is the way we describe the effect of acceleration as objects with mass create dents in space and time. Not only are we humans fearfully and wonderfully made (Psalm 139:14), our universe is fearfully and wonderfully made. The mysteries of the universe with colliding black holes and gravitational waves are too wonderful for us to understand (Psalm 139:6). Every new scientific discovery gives us greater understanding and reveals more questions that can now be asked. These discoveries continue to have an effect on the study of physics, cosmology, philosophy, and theology. May we never tire in our search for greater knowledge and still be content with mystery. It occurred to me that something like that was my usual response and the usual response of God’s people from time immemorial. The logic goes something like this, “God seems to be angry with us. He has a right to be angry at us; after all, we are sinners saved only by God’s goodness and grace. Maybe God wants more _________, insert the appropriate words: animal sacrifices, words of praise, acts of obedience, attendance at church, prayers, Bible verses read, ….” You see, I have a tendency toward legalism. I daresay, you have a tendency toward legalism. We think we can purchase God’s favour with a higher level of asceticism or praise. At a later time in the history of God’s people, Paul, the great defender of the Law of God, a man who should have been more prone to legalism than any of us, had this to say to the church in Rome. So, going back to my own propensity and that of my friend, we can try to get right with God by “keeping the law,” or by reading our Bibles more, or by reading our Bibles with more thorough understanding, or by listening to more sermons, or by being more diligent in church attendance; and we will fail to draw any closer to God. What will draw us into close relationship with God? Trusting in him. Trusting his plan; trusting Jesus, the rock. Can we say with Paul, “I will trust you, oh Lord.”? Can we say this when our lives are going well? Can we say this when cancer is present? Can we say this when we have enough to eat? Can we say this when we are in need? In a blog on January 6th, I suggested that one purpose for gathering as followers of Christ is to search for God and allow others to do the same. Today I want to address another reason why we gather as the Body of Christ: mission. However, today, I do want to make some bold statements about mission. One of the reasons God has called us to be the church is that he is continually calling us to mission. The word mission comes from a Latin word, mitterre, which means “to send.” The etymology of the word is also rooted in the Greek word “apostolos, from apostellein to send away, from apo- + stellein to send.” So, a missionary or an apostle is “one who is sent;” in this context, it is one who is sent by God. 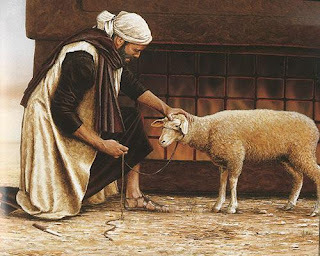 From these words we understand that Jesus was sent into human time and culture by God the Father; and, as his mission was nearing completion, he sent his followers into human time and culture to continue his work. John 20: 20, a verse that I like to call the “20:20 vision verse,” also informs his followers that the task of being sent is not easy and may result in rejection, suffering, and even martyrdom. Now, as we are sent into this world, what do we understand to be our task? Our task is that of Jesus Christ, the Son. Jesus came to do many things and, as some of the manuscripts of the Gospel of John also say, “If they were all written down, I suppose the whole world could not contain the books that would be written.” (John 21:25) It is clear that Jesus came to forgive sin (John 20:23), bring Good News to the poor . . . . to proclaim that captives will be released, that the blind will see, that the oppressed will be set free, and that the time of the Lord’s favor has come.” (Luke 4:18, 19) All of these tasks are also the work of the ones whom Jesus sends into this present time. I am quoting from the New Living Translation (NLT) unless otherwise noted.